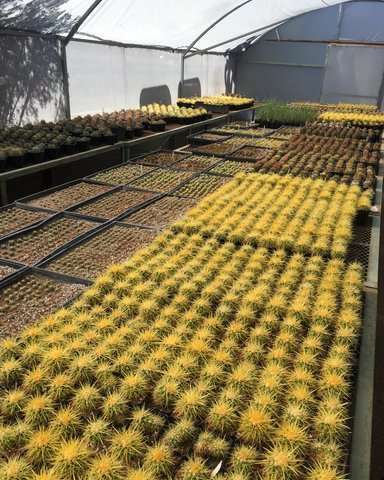 Imagine a botanical garden, and acres of carefully designed, highly manicured, delicately pruned "zoos for plants" may come to mind. 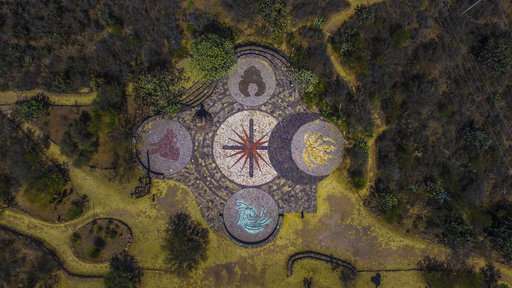 But at El Charco del Ingenio, a botanical garden and natural protected area in central Mexico, the sprawling scrubland has been allowed to return to its unencumbered, wilder roots. 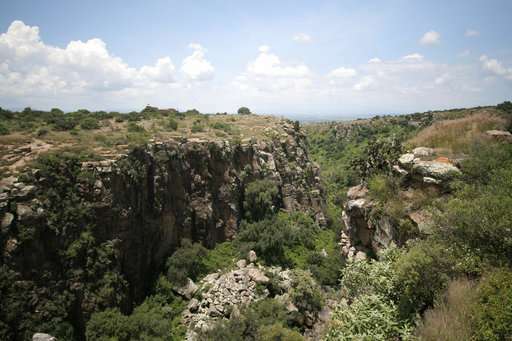 The approximately 160-acre property, acquired from several different families, had been overgrazed for hundreds of years, according to Mario Arturo Hernández Peña, the park's director. 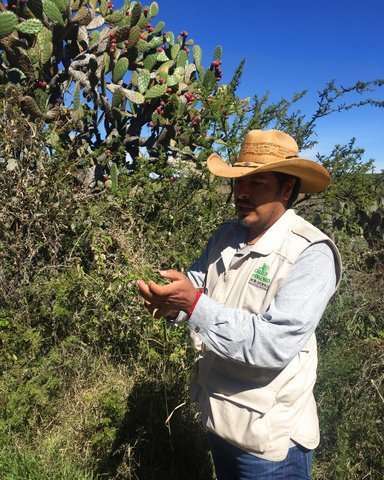 "Thirty years ago, people said the only thing that grows here is stones," Hernández said. But by limiting access, protecting the soil from runoff, pruning trees and controlling unwanted species, the land has blossomed, he said. In 1991, when El Charco first opened, volunteers and staff had identified about 183 different species of plants and about 130 species of birds. Those numbers exploded to about 600 and 186 in 2007 and 2014, respectively. "We're just helping nature," he said. El Charco is easily accessible from touristy downtown San Miguel de Allende. It's a few minutes by car or a longer, uphill jaunt by foot. The park hosts about 50,000 visitors each year. About 70 percent are Mexicans and, of those, about 35 percent are students, which is exactly how Hernández and the board of directors like it. "It's an educational environment, not a park where you can have a picnic," explained Naomi Zerriffi, the only non-Mexican on the seven-member board of directors. 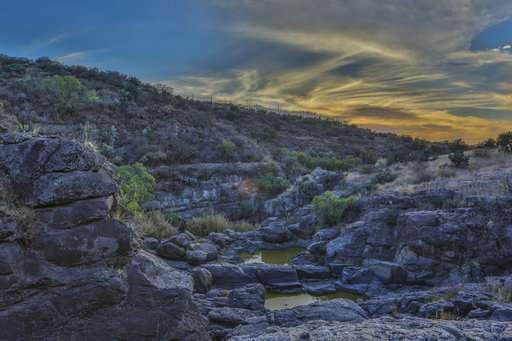 Even so, the high tourist season of November through February is the park's busiest time of year, Hernández said. 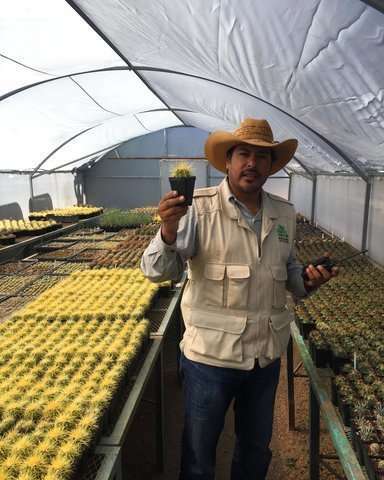 "We're working with the University of Guanajuato on a study of the capacity of intake. We're discussing how much is too much," he said. "We can pack this place with people . but then its natural structure, which we guard as a treasure, would be highly affected." In addition to its biodiversity, El Charco is culturally and historically significant. Its name combines two Spanish words, "el charco" or "puddle," and "ingenio" or "mill." 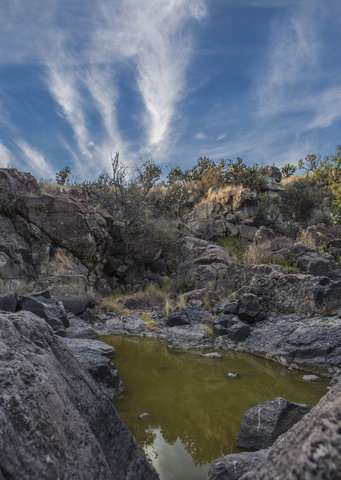 They refer to the ancient flow of water in the canyon, which originated in a natural spring, long since dried up, and the remains of an ancient mill or waterwheel, likely used to grind grain, which shows up on a map of San Miguel from 1580. Today's visitors also can see the remains of an 18th century bridge, the ruins of a 19th century hacienda and a still-intact dam built in 1902. 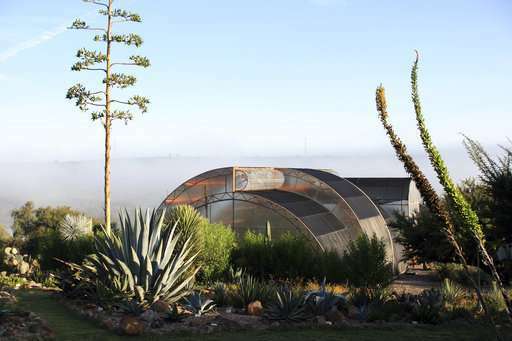 There are workshops and classes, guided tours in Spanish and English, bird-watching excursions, sweat lodge and full moon ceremonies, as well as an annual spring equinox concert and summer festival in July. El Charco, a nonprofit organization, receives no government funding, and the bulk of its annual budget is drawn from memberships and fees, Hernandez said. About 20 percent comes from private donations. In addition to Hernandez and the board of directors, the park is run by a team of 24 full-time staff, including an environmental engineer and two biologists, and 10 volunteer tour guides. Andrew Goodell, a volunteer and engineering geologist, said groups of students, ranging from pre-kindergarten to post-doctoral, have toured the park. "I want to give them an appreciation for nature and their heritage," he said. "I want to show them what the land has looked like in the past, what the names of things are and what they've been used for." Hernández's intentions are even broader. "We can have a much larger impact if we focus not just on environmental education, but on cultural change," he said. "We can just have tourists running through here and taking off, but if people leave here thinking about their actions and their impacts, that's real." Wheew! Thank GooDness they're not un-natural species! Those devilish genetic manipulators.